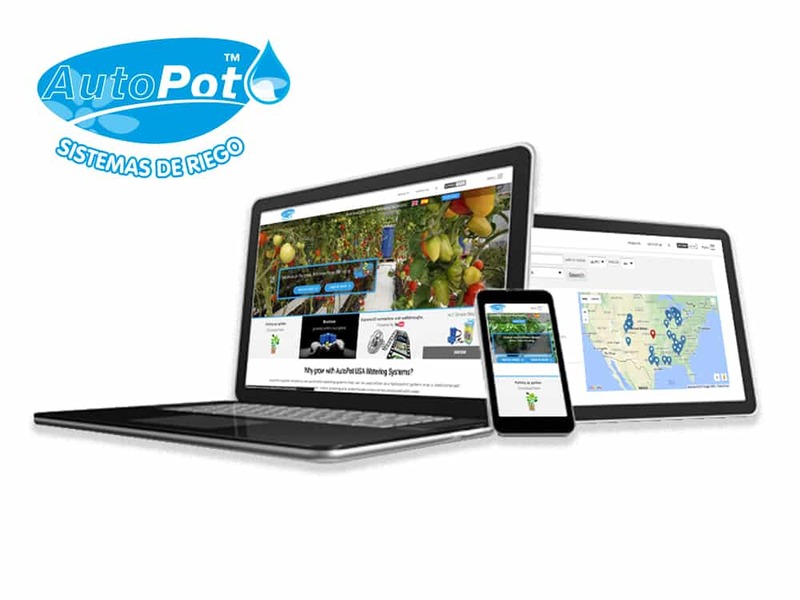 AutoPot Spain are proud to announce the launch of their very own website! This net-bursting arrival promises to revolutionise access to AutoPot resources for those of a Spanish and Latin American persuasion. Awe will be inspired by the unprecedented access to the AutoPot range. Hearts may melt upon browsing our Spanish brochure – it’s downloadable! Breath may be taken during happy hours spent locating nearest stockists via the Store Finder. Spines may be tingled by our online Growers Tips. It’s good news isn’t it! 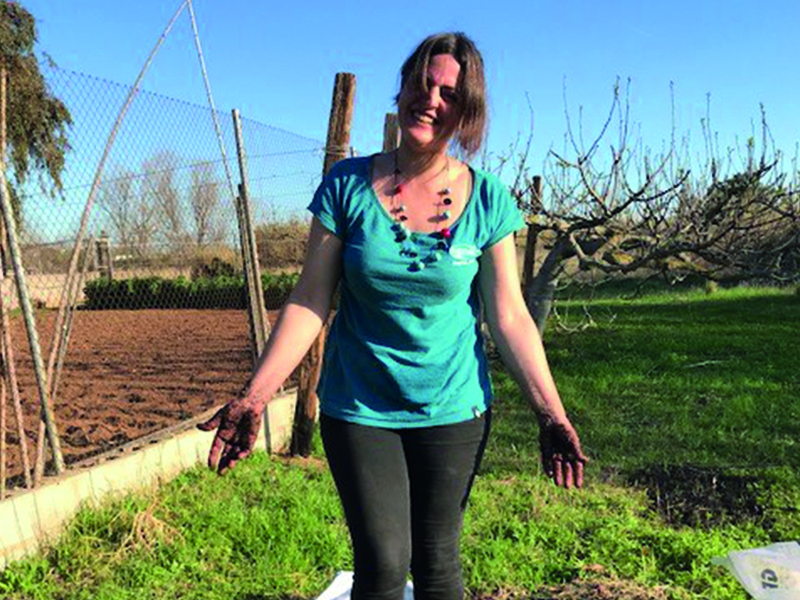 “Delighted” isn’t the word for how Elena Perez, chieftain of AutoPot Spain and Latin America, is feeling. 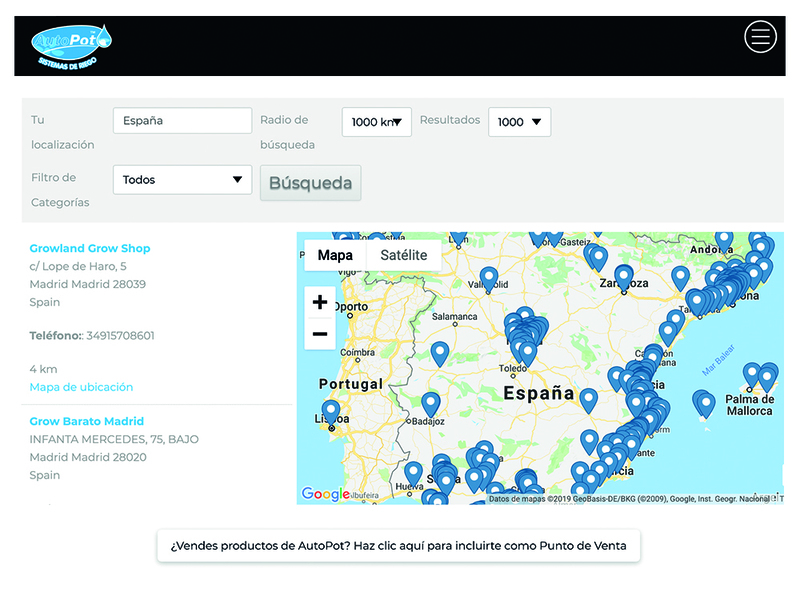 The wealth of information on the website, freely available to visitors, will enable her to devote even more time to visiting Spanish and Latin American growers, shows and businesses. With more time to absorb customers’ growing experiences she can help us innovate yet further with our systems. 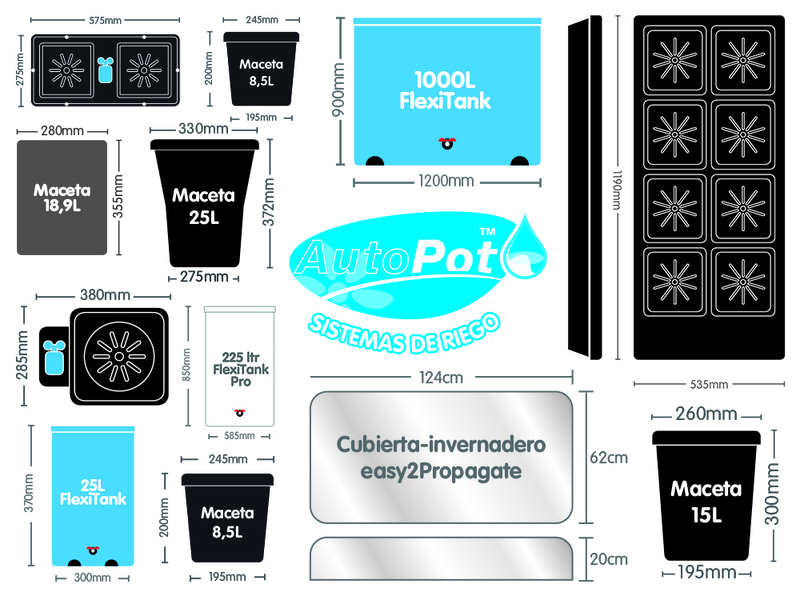 Amongst the retinue of resources on autopot.es you will find full, downloadable instructions for all our systems included with each product listing. Peruse and download at will to grasp the finer points of how the system of your dreams will assemble. Lost your instructions in the excitement of unpacking a system? No problem! The whole set are ready and waiting online, perfect for popping on your mobile device during your build, just don’t lose your phone, we’re not replacing that. 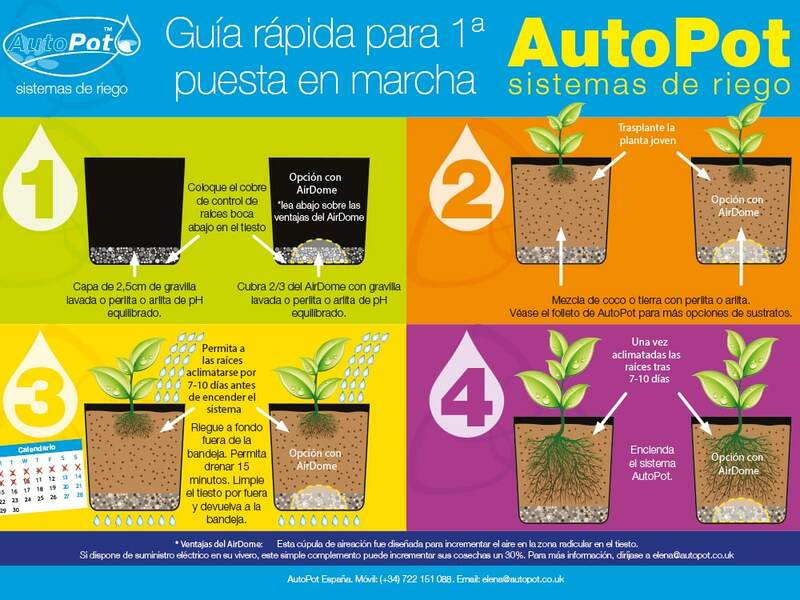 Also downloadable are Growers Tips for AutoPot Watering Systems. Growers Tips cover any number of marvellous features including set-up basics, essential watering regimes, recommended substrate combinations and little pearls of wisdom we have gleaned from years of running the systems ourselves. If you’re the kind of person who likes to know how big things are (and who isn’t!) then you’ll love checking out the range of pot and tray diagrams that accompany every system listed. Through these magical icons you can figure out exactly how many pots and trays will fit into your growing space. A rejuvenated Store Finder, populated by Elena’s encyclopaedic knowledge of the Spanish and Latin American store network, will guide you to your nearest outlet! If there are businesses out there who have escaped Elena’s steely gaze then we’d like to invite them in under our wing. Please get in touch here to register on the Store Finder. We will induct you and furnish you with access to a range of business-orientated resources. Right here, in the Latest News section, where your eyes are pointed now, we’ll be featuring as much cultivation content as possible, drawn from all corners of this sainted planet we call home. We adore news and features and firmly believe that they help keep the site as current as possible. If you like grows, shows, exclusives on new products and promotions, plus news of our tours and customer appreciation days then look no further!